Hope you’ve all had an amazing week and are staying warm, drinking lots of hot choc and getting ready for Easter (ugh, I do miss a good Easter at home). So, it’s officially the end of March and instead of spring, it feels like Christmas is round the corner once again. 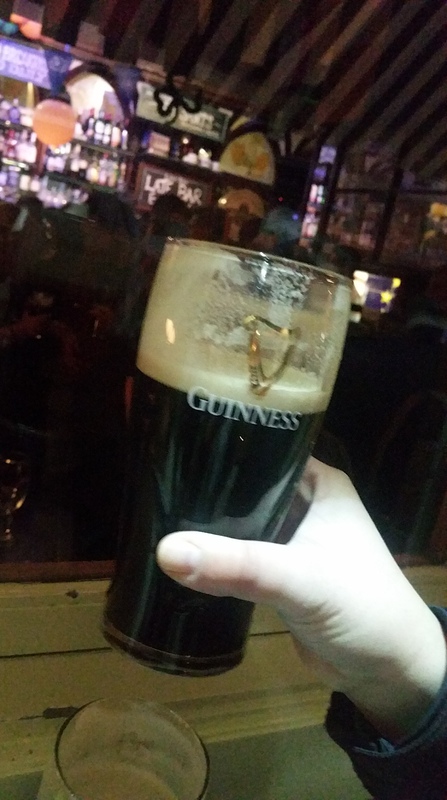 However, this month marks many important celebrations: International Women’s Day, Mother’s Day (RO/UK), deadline for Sustainable Operations (oh no, wait, that’s just me), but the one that gets people truly excited and “green-ish” (with joy, obviously) is St Patrick’s Day or simply St Paddy’s (17th March). Some might ask what exactly is it? Well, it’s the remembrance of the death of St. Patrick, the patron saint of Ireland. 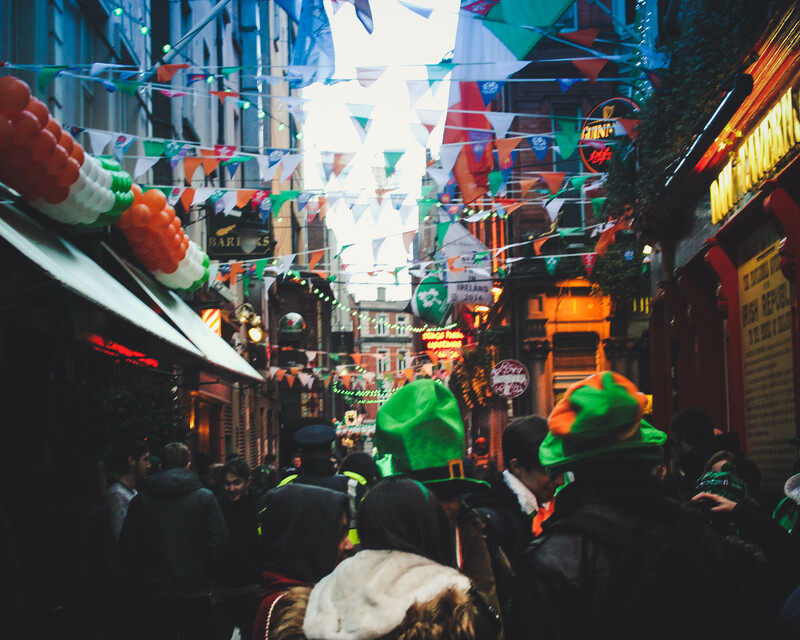 It all started during the 17th century as a religious feast day, but quickly evolved into a variety of festivals across the globe celebrating Irish culture with parades, special foods, music, dancing, and a whole lot of green. Seriously, it’s like an explosion of GREEN: green food, green parades, green hats, green ties, green fountains, green EVERYTHING (even the Duchess of Cambridge wore a stylish green coat with fur collar and cuffs). I will be honest and say that before moving abroad I never paid attention to what St Patrick’s Day commemorates. Last year I experienced the “madness” in the heart of New Zealand surrounded by cheerful kiwi people and my friends, but this year’s given the festivity a whole new dimension. 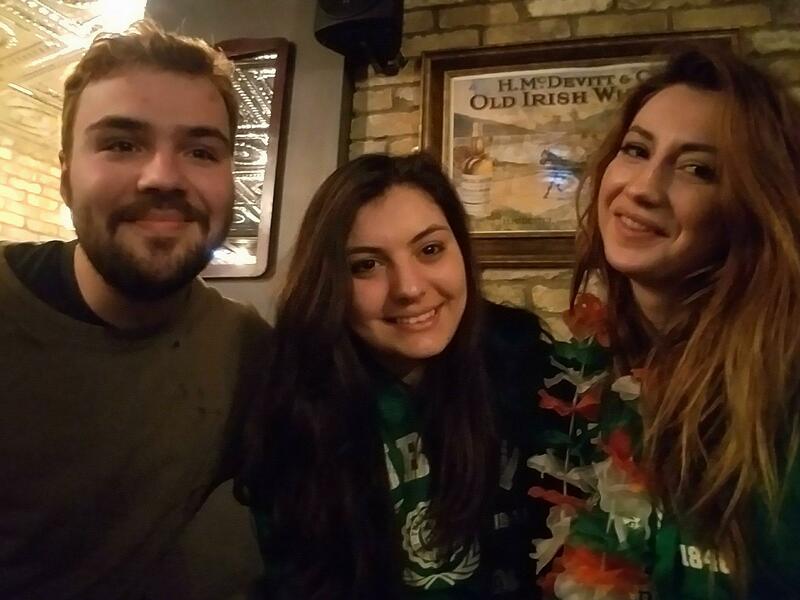 So picture this: a group of friends from UK, Romania, New Zealand and US experiencing the luck of the Irish for the first time during the busiest period of the year. Overall, the trip met my expectations and I actually found out some really interesting facts I thought I’d share with you before diving in the ‘ups and downs’ of the trip. March 17, 1762: first St. Patrick’s Day parade in US, when Irish soldiers serving in the English military marched through NYC. 7 million U.S. residents with Irish ancestry (that’s more than seven times the population of Ireland itself). 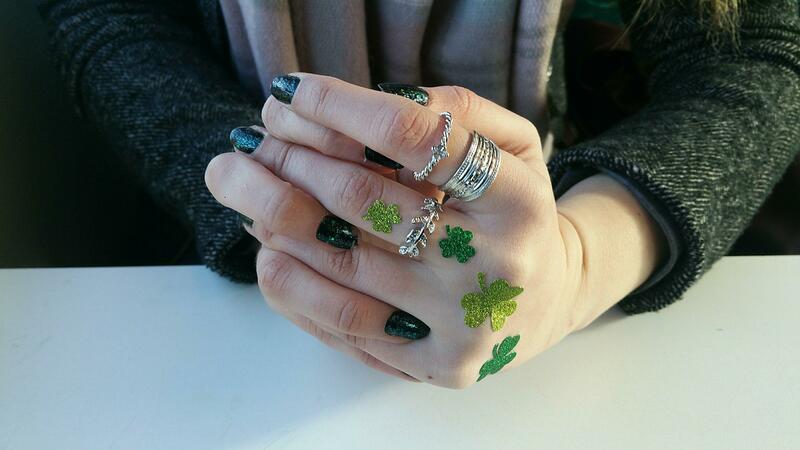 Faith, hope and love: the three leaves of a shamrock, the traditional Irish symbol. 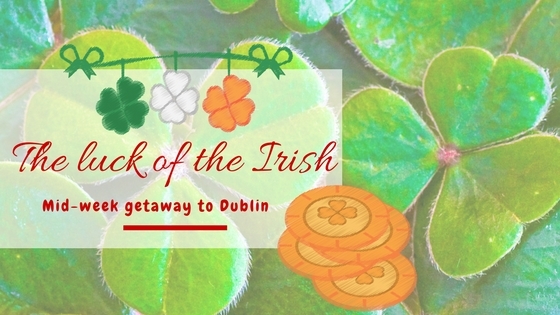 1 in 10,000: Your chances of finding a four-leaf clover, so good luck with that. Nice one, right? Now on to the fun part. 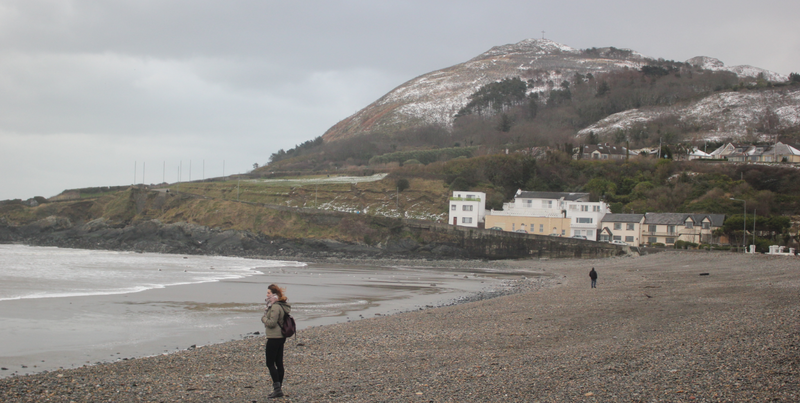 Our five days in Ireland were definitely action-packed and make good stories to tell. However, just like everything else, there were moments when all I wanted was to be back at home in my cosy bed. But, let’s keep it positive and start with the good aspects of the trip, shall we? Our AirBnb: so, other approx. 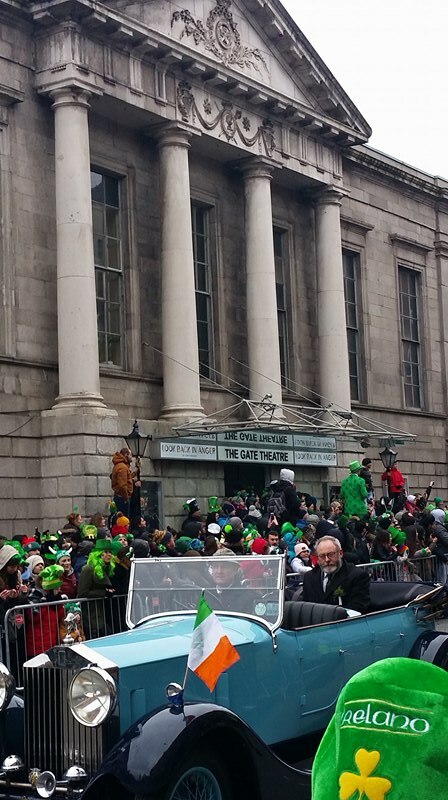 800,000 people had decided to celebrate St Paddy’s in Dublin, hence why all accommodation was either already booked or costed more than my salary. So, after weeks of desperate attempts to find a place in the city, we decided to look in the towns nearby, and oh boy, wasn’t that a blessing in disguise? 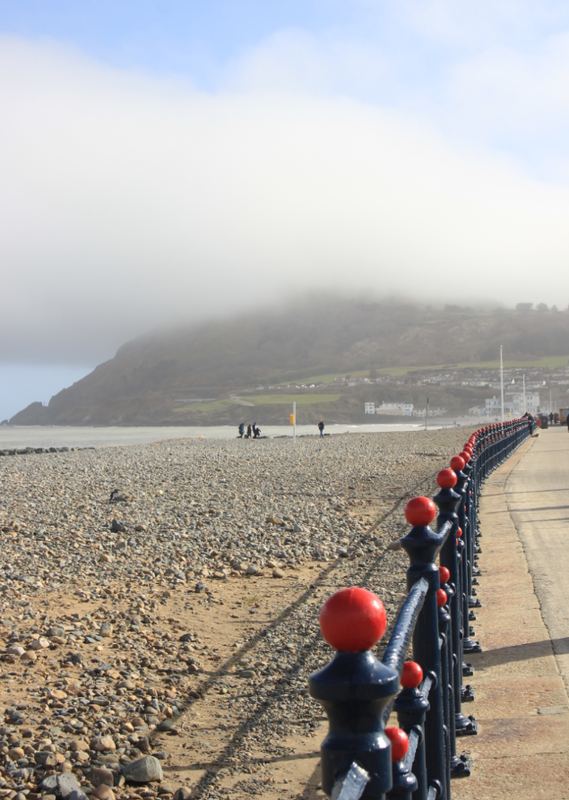 We found the loveliest cottage right by the sea in Bray, Wicklow. This was the perfect way to escape the noise and the crowds in Dublin and to enjoy a glass of wine while admiring the rough waves and steep cliffs surrounding it. 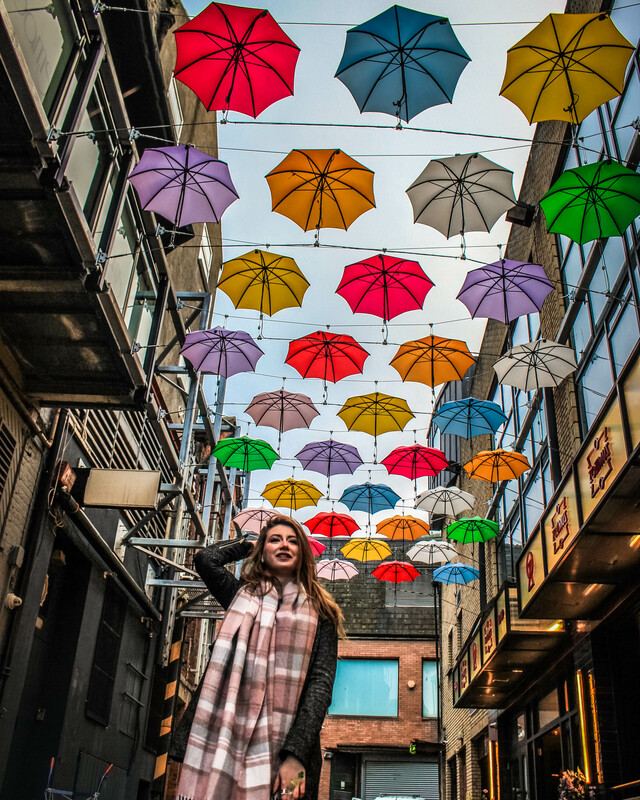 The laneways: I don’t know if they were decorated just for the occasion, but I can definitely say Dublin has some of prettiest laneways in Europe. 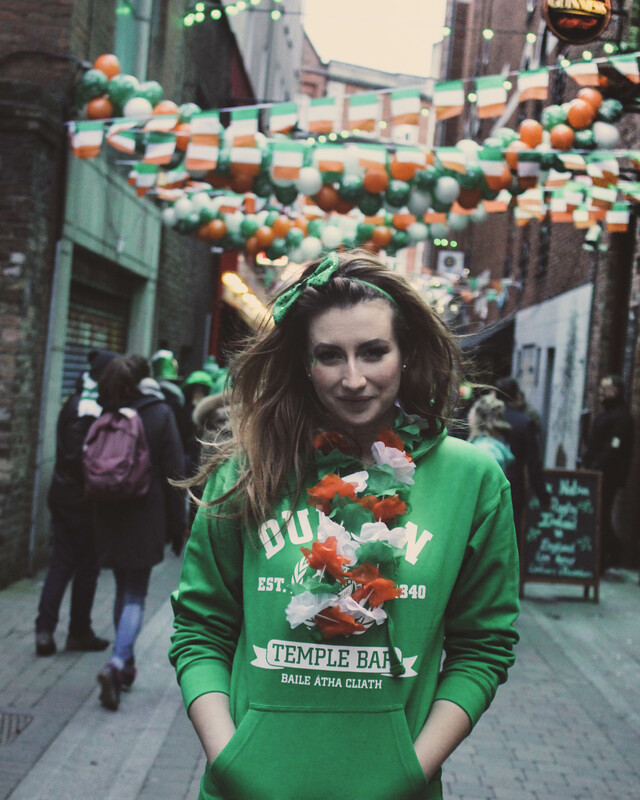 Vibrant colours, Ireland’s flag, balloons and confetti everywhere! The nightlife: pubs, nightclubs, rooftop bars, you call it. We tried several, but the winning one is The Living Room on Cathal Brugha St. The winning combo? 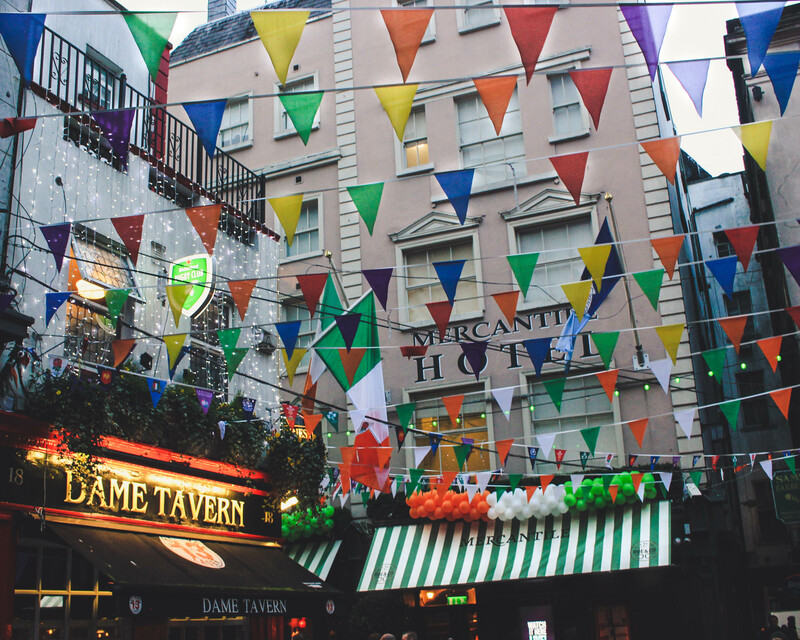 Dublin’s largest beer garden, a 3D screen to watch the game between Ireland and UK and even an outdoor pizza shack (oh yeah, and a Romanian bartender haha). However, if you really want to experience the Irish hospitality head to Grafton St. The parade: leaving the best for last. Wow, don’t even know what to begin with?! Over 20 marching bands and pageant companies featured in the parade under the artistic theme of “Home is Where the Heart is”. For almost half a day, they strolled the streets of Dublin wearing inspirational outfits while performing well-rehearsed choreographies. However, I particularly enjoyed the parade because of its fusion. 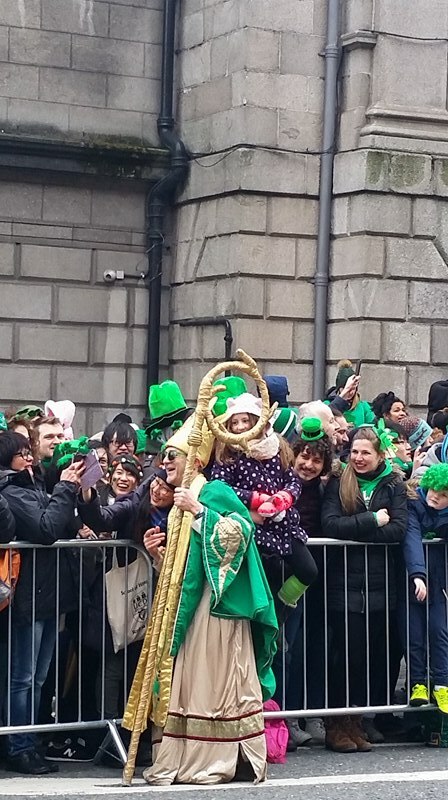 People of every age, gender or physical condition, all from different parts of the world came together to spread ecstatic vibes and dazzling rhythms that echoed throughout the streets of Dublin. Ohh, I almost forgot. Mark Hamill known for his Star Wars role of Luke Skywalker was appointed as International Guest of Honour and Game of Thrones star Liam Cunningham led the parade (so now you should definitely understand my enthusiasm). But not everything was perfect, just like it never really is, right? We struggled to commute daily to Dublin because although we purchased a “Leapcard” for transport at the airport, they “deliberately” avoided letting us in on a small secret: the card did not cover night-time transportation outside the city area ☹. Not only did this cost us another 20 EUR for a single fare from Dublin, but we also got left behind in the middle of nowhere at 3am by a not so friendly bus driver. Luckily, there are still so many nice people out there and a cab driver was kind enough to give us a free ride back to our AirBnb (since it was pouring down and we had no cash left). So apart from chilly weather and grumpy bus drivers, the major drawback of our trip was handling uni work and trying to relax. Yes, I love traveling, but I still have to work just as hard on my university assignments, especially since is my final semester. This time, I have spent almost half of the time in cafes designing surveys for market research and interviewing people on their opinion about food trends. Not so fun anymore, huh? Looking at the bright side, on this occasion the perks of studying and living in Guildford are that oh well, the airport is only 1h away and so is a flight to Ireland. So I will stop here and maybe go and do some research on my next (*summer*) trip to Ireland.